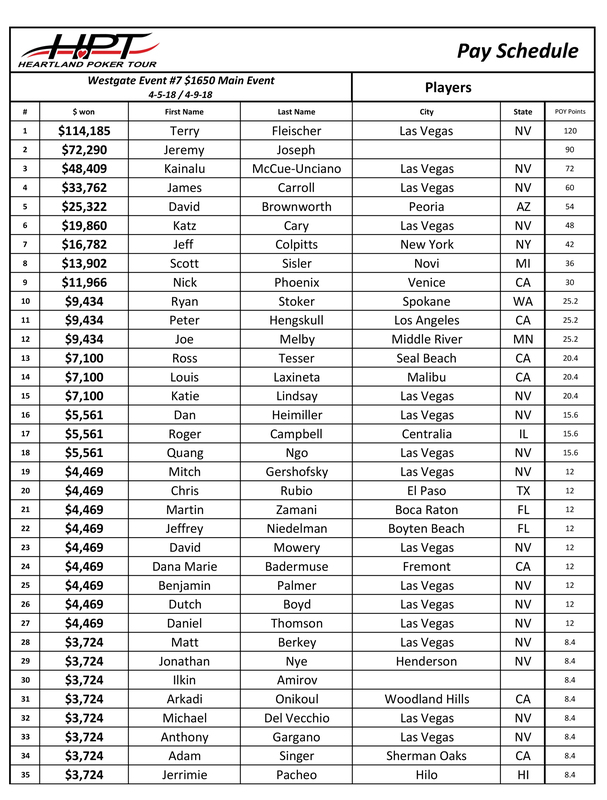 Three packed Day 1 flights generated 329 entrants for the $1,650 Westgate Resorts Main Event. Terry Fleischer bagged the overall Day 1 chip lead, ended Day 2 middle of the pack and played his way to $114,185, a custom Seiko Eco-drive watch and a $3,500 Championship package. After winning a grueling 14-hour final table under the brigh lights, Fleischer outlasted a younger Jeremy Joseph after a lengthy heads-up battle. "I did it for the old guys," Fleischer said. "I don't have too many more tournaments in me, Jeremy has plenty." "I won a multi-way pot with aces that set me up for the win," he added. "This tournament is going to change my life - I still have a job to go to tomorrow." Fleischer won his first HPT title, but is no stranger to the winners' circle as he's won a handful of events at the Bellagio and Venetian. "I'm going to work tomorrow, but with this prize I'm going to Disneyworld and going to be playing a few more tournaments," Fleischer said. 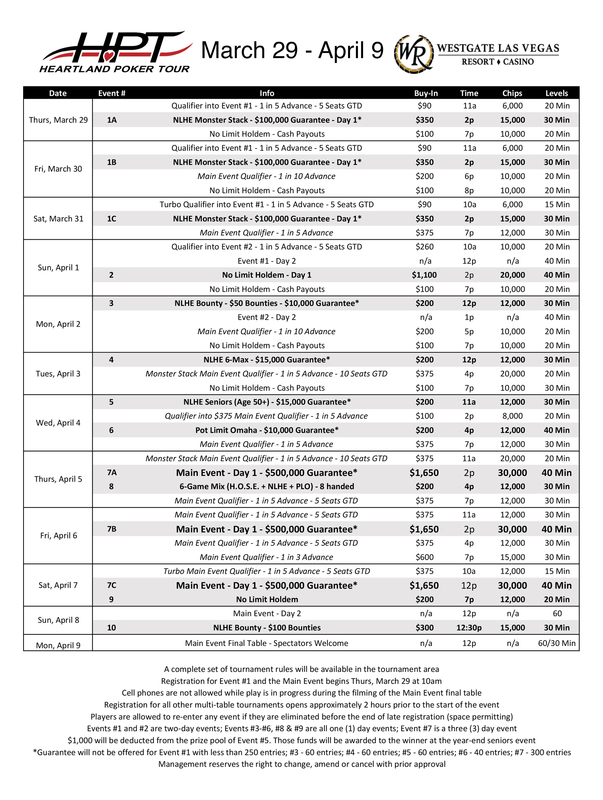 The HPT picks and heads east to two of the most well-attended HPT events - Ameristar St. Charles outside St. Louis later this week and then head up to Ameristar East Chicago after that.